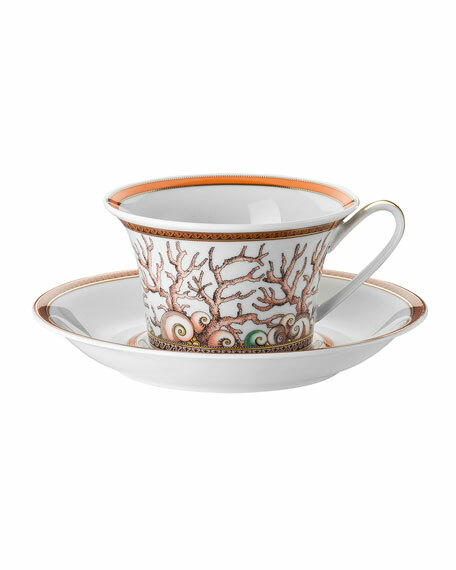 Etoiles de la Mer cup and saucer. Porcelain salad plate. 8.5"Dia. 24-kt. gold accents. Hand wash. Made in Germany.